There are so many oceanside locations to choose from for a couple’s getaway. They range from the uber expensive to the ideal cheap holiday and everything in between. With all the options, it can be difficult to choose the one for you. 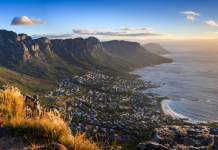 Take a look at our top four picks of the best beach vacations for couples on a budget. 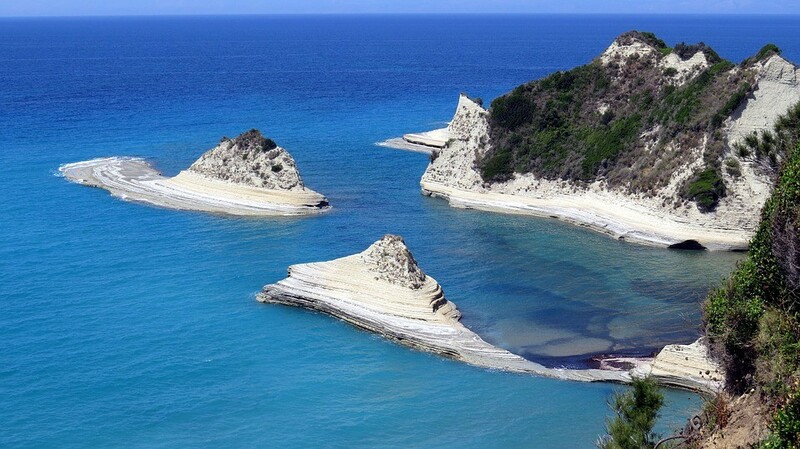 Corfu is a gorgeous island off the coast of Greece. It is quite large so it may be a good idea to split up your time between the different coasts. Corfu looks out over the Ionian Sea and offers visitors sunkissed shores with clear water and an abundance of beaches to choose from. Our first pick is Sidari Beach on the North Coast. It’s a blue flag beach perfect for couples looking for a more private feel, as it’s located away from the bigger resorts. Photo op: The Canal d’Amour can be found there and makes for the ideal insta-snap for your time in Corfu. Paleokastritsa is a very popular seaside village on the West Coast surrounded by olive and cypress trees. 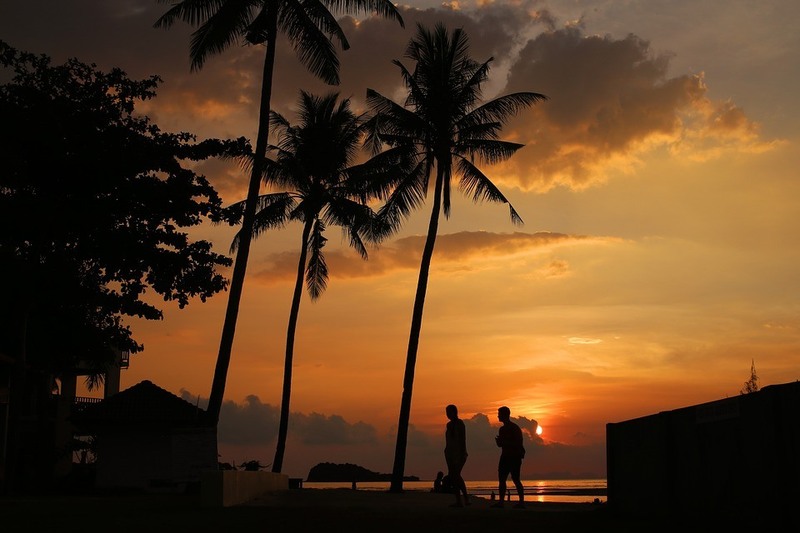 It gives visitors a choice of six stunning beaches to choose from, including Rovinia Beach, which is usually more secluded for the ultimate couples getaway. It is only reachable by boat or a hike so it stays idyllically quiet even in busy seasons. On the South Coast, Issos Beach is surrounded by sand dunes, making for the perfect spot for watching the sunset. 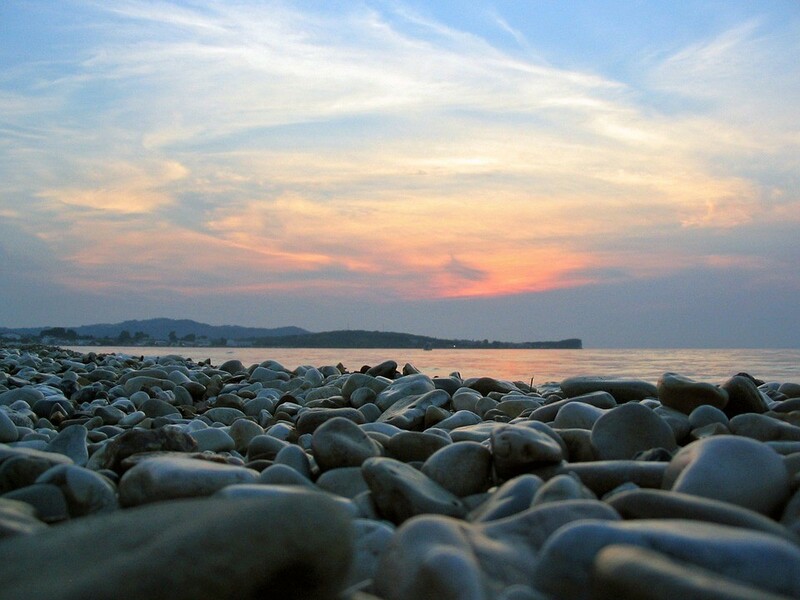 The beach is fairly close to Corfu town, the water is calm and the atmosphere – relaxing. A stunning East Coast beach is Dassia Bay, which has a bit more activity on offer, with a number of water sports available. However, it is still secluded and a lovely escape. Corfu is very easy to travel around. 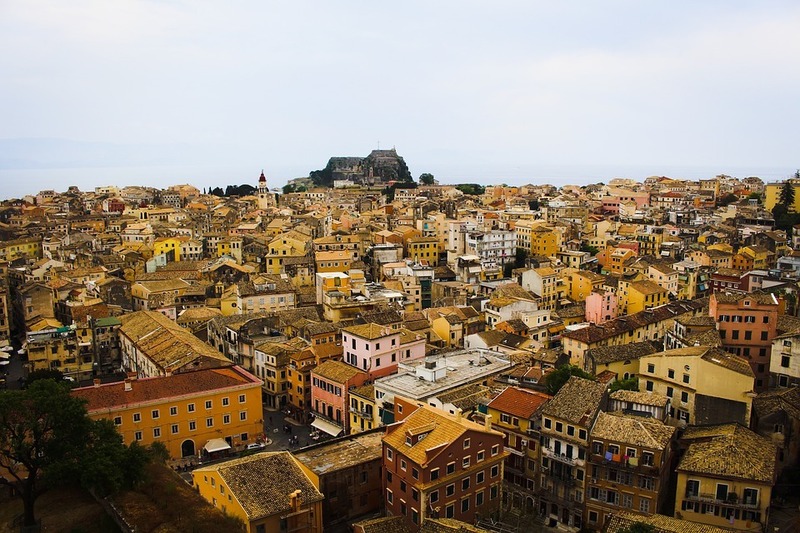 Walks into town or to a nearby beach aren’t too strenuous and Corfu also offers bike rentals and an efficient bus route as a cheaper alternative to taxis or hiring a car. It is also fairly simple to catch a ferry from Corfu to the other greek islands, the mainland and nearby European countries. This can offer a cheaper alternative to flying. 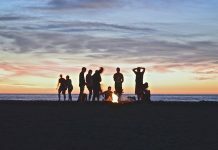 There are a number of excellent hostels in Corfu including The Pink Palace, as well as well-priced hotels and Airbnb accommodations that won’t break your bank. There is also the option of staying in nearby Mesoggi, which often has cheaper places to stay. The best time to visit Corfu is during the ‘shoulder season’ in April/May. 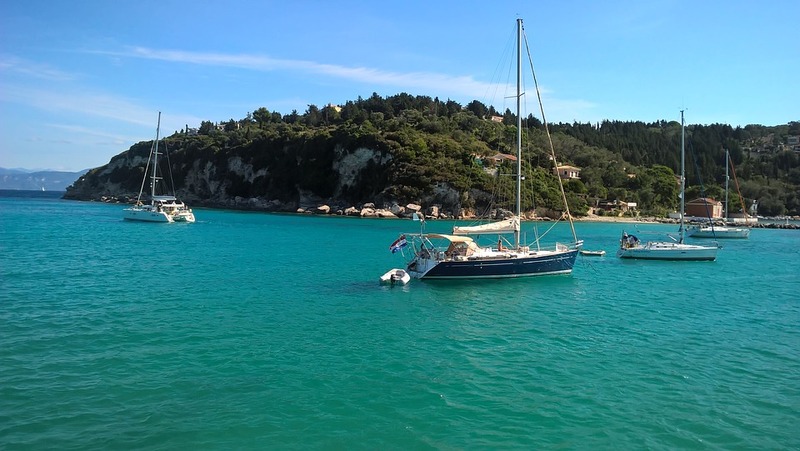 The weather isn’t as warm as the high seasons but it remains perfect to enjoy the beaches, water sports and sites of Corfu. It is not as crowded in this part of the year, as it is Springtime, but you still need to book in advance as Corfu stays popular throughout the year. There are a lot of well-priced taverns in quieter villages in and around Corfu but street food is also a big winner for finding meals on a budget. It’s easy to pick up treats from Corfu food stalls and pack your own picnic. Some popular choices are Souvlakia (delicious meat served on a skewer) and Pita Gyros (a Greek sandwich with your choice of fillings). There are also many cheeses particular to Greece, including Tirokafteri and Ladotyri. Corfu also has an array of unbelievable desserts. Stazei Meli is a tourist favourite for trying out delicacies, including Lokma/Loukoumades, which are the Greek equivalent of doughnut holes. Cancun is a beautiful area on Mexico’s Gulf Coast and gazes out over the Caribbean Sea. Kaank’uun means golden snake in Mayan and it was named after the stunning sight of the sun rising on Cancun’s sandy beaches, like a long golden snake along the coast. Just down the coast is the second largest reef in the world, the Mesoamerican reef or Grand Mayan. The beautiful beaches on Cancun’s coast are made of refined white coral, mollusks and shells, which never get hot enough to burn your feet – bliss. Playa Delfines (Dolphin Beach) is a favourite in Cancun. There are no resorts or hotels taking up space. The environment is relaxed and there are lots of food and drink vendors dotted around. The beach is stunning, however the water can get rough so it’s important to be mindful of this while swimming. The beach is easy to reach by bus and there is free parking for those using a car. Photo op: Get yourself the perfect couples’ shot at the giant Cancun sign on Playa Delfines. Another beautiful choice is Playa Chac Mool, which has more opportunities for water sports with lots of equipment for rent. 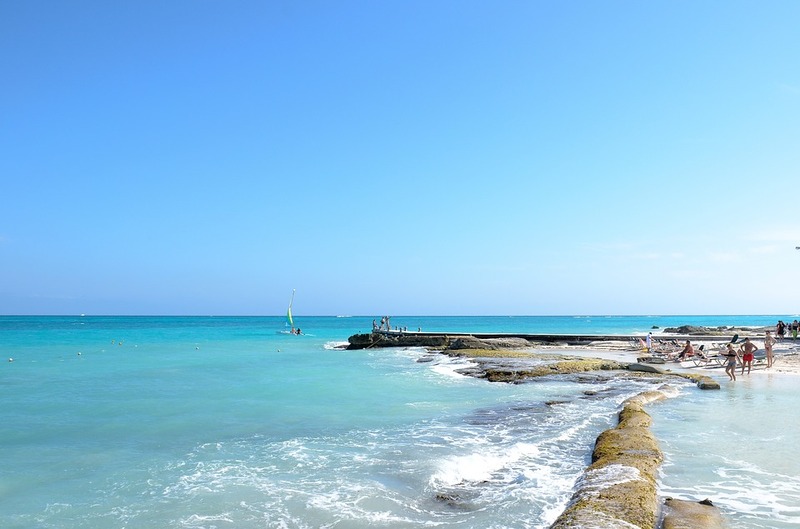 The water is perfect for swimming and calmer than at Playa Delfines. 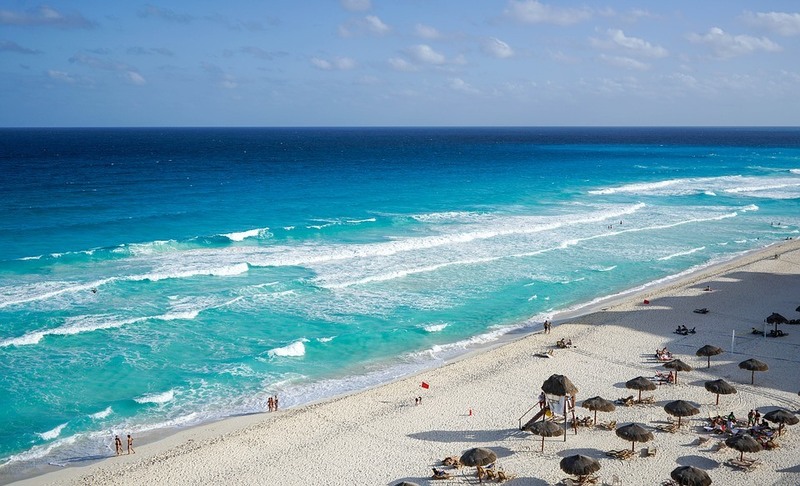 Our third pick for the top Cancun beaches is X’cacel Beach on the Riviera Maya. Although a small donation is needed, it is the site of a sea turtle conservation program. The beach is breathtaking and secluded with a nearby natural sinkhole (cenote) that is perfect for snorkelling. Cancun has a number of budget hostels near the uptown hotel zone, with some cheaper hotels on offer as well. Airbnb, with its excellent prices for top-quality apartments and rooms, will also become your friend (if it isn’t already!). Just like Corfu, Cancun has a cheap and easy bus system that can take you up and down the coast, including the many lovely beaches. One of our top tips for finding delicious treats is to go where the locals eat. Mercado 28 is a perfect place to find authentic and amazing Mexican food. The outdoor market in downtown Cancun has excellent deals for souvenirs and food, but you must be ready to have a barter. Parque Las Palapas has excellent street food or antojitos. Some delicious options include Empanadas, which are fried pastries with your choice of filling, and traditional Mexican soft tortilla tacos. Another popular dish is Panuchos, which are deep-fried tortillas filled with beans with a number of delicious toppings. The pineapple stand at the Parque Las Palapas is also not to be missed. 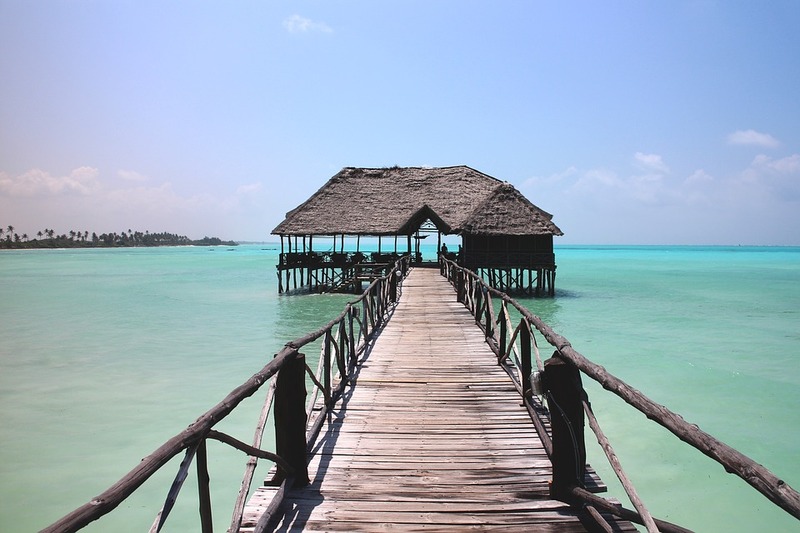 Zanzibar Archipelago is a group of islands off the Tanzanian coast and is known as one of the ‘Spice Islands’. 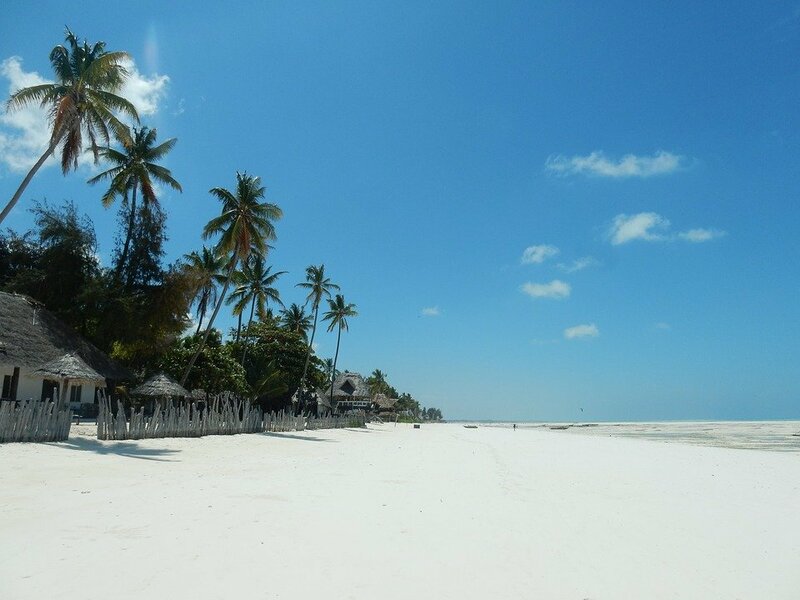 One of the biggest is Unguja where you can find the capital, Zanzibar City, as well as the many unbelievable beaches dotted around the island. The oldest part of Zanzibar City is Stone Town, which is a UNESCO world heritage site and has many activities to enjoy. It can also function as your holiday base, with cheaper accommodation than a lot of beachside spots. However, there are some well-priced beachfront options as well. The island is tiny and you can see a lot of it while you are there. In Stone Town itself, there are gorgeous fabric stalls and art galleries to visit as well as the Darajani Market (the main bazaar in town). There are cheap and delicious street foods to taste, including Zanzibar ‘pizza’ and Kachori, which are deep-fried balls of mashed potato, flavoured with an array of spices. It’s also worth a walk down to Forodhani Gardens on the seafront for excellent seafood. Some of the most popular beaches on the island are Nungwi, which is well-known for water sports, and Kendwa Beach, which is quieter with less restaurants and people. These beaches are a 1 hour 30 minute bus-ride away from Stone Town, and you can use the local bus (Dala dala) to get there. Uroa Beach is also a stunning option for couples because it’s so secluded and offers a beautiful getaway for the day. 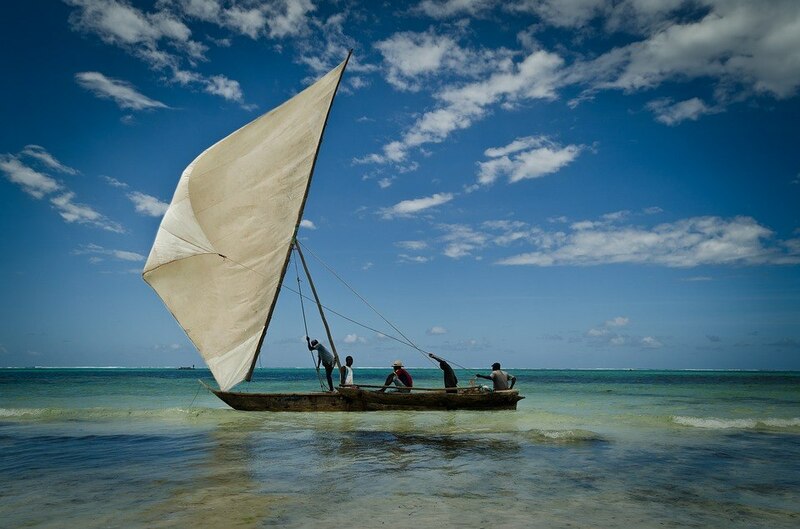 There’s also a very well-priced boat trip to Mnemba Atoll for a memorable snorkelling experience. The best time to visit Zanzibar’s beaches is the first Summer season in June to October, as you’ll miss a lot of the crowds. 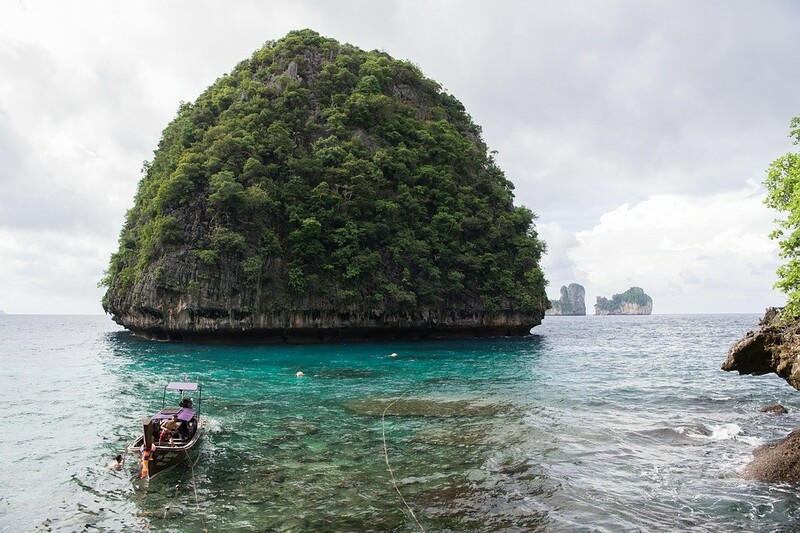 Thailand includes a number of islands, with the largest being Phuket. Each island offers its own variety of beaches, beautiful sites and attractions. One of the many stunning beaches is Long Beach (Phra Ae) on Koh Lanta off the West Coast of Thailand. It’s a perfect spot for swimming and a stunning place to spend the day. The most visited of the Koh Lanta islands is Koh Lanta Yai where you can go kayaking through the stunning mangrove forest. 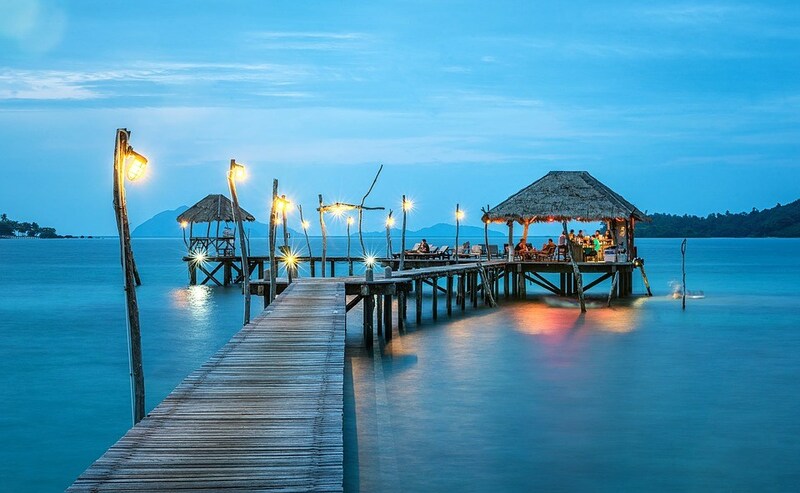 Our second choice is Koh Tao, which is off the East Coast and looking out over the Gulf of Thailand. 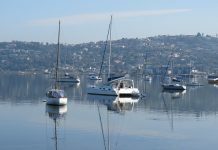 It is excellent for diving and the demand for gear and lessons have made the prices quite reasonable. You can also hire a boat for a decent price and explore the Phi Phi islands as well as Railay Beach on Krabi, which is 10 to 15 minutes away from Ao Nang in Krabi Province. Photo Op: Diamond Cave (Tham Phra Nang Nai) on Railay, or Emerald Cave (Morakot Cave), which is actually inside the Ko Muk island. There are lots of little restaurants with excellent prices. Street food is also always a great option for cheap but tasty meals. There’s Kai Jeow – omelet over rice, usually cooked with fish sauce and chillies. Some other really tasty options are: Moo Ping (pork skewers), Poh Pia Tod (spring rolls) and Som Tum, which is a spicy green papaya salad and a local favourite. The northern side of Long Beach has great budget accommodation available. Koh Lanta is also much less built-up than the other islands, which makes it ideal for finding cheaper accommodation. 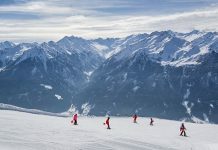 September to December is also the cheapest time to visit and the weather is great all year round. Getting around the islands is also fairly easy with boats and buses at your disposal. For couples looking for an unforgettable experience; where the beaches are dreamy, the water is cool and the days are long. Then these beaches will give you exactly what you’ve been searching for. 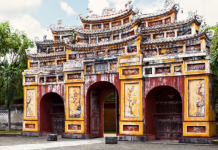 There are endless places to experience, and for a decent price, you can enjoy the many beautiful sites on the best beach vacations for couples on a budget.